Most customer rely on Merac to supply all of the hardware required to run their EPOS and back office systems. 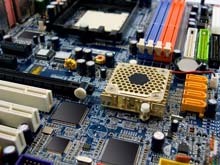 Our recommended hardware is based on years of experience within the IT industry. Merac MStore will run on any industry standard PC based equipment, so if you already have your own equipment you can enjoy the benefits that MStore will deliver without significant cost and upheaval.